Join your local group on facebook for access to creatives in LA, SF, and NY. Production Company, Technology Developers, and Arts Blog. The story: Artlarking produced art shows, events, and live performances that cross boundaries of genre and art form. The organization developed a social networking site that served as a “creative classifieds” in 2008. Due to rapidly advancing technology since Artlarking’s founding, the original social networking site is taking an eternal nap, while the network and resources are alive and well. Artlarking founding directors have gone on to develop an online fundraising platform for non-profit causes, FLIPCAUSE. Others are have taken on high diplomatic positions, curatorial missions, or faded into obscurity. skylark [skahy-lahrk], n. An Old World lark noted for its singing while in flight. skylarking, v. To play actively and boisterously; frolic. 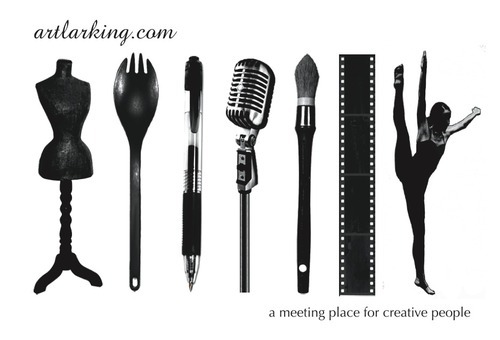 artlarking, v. The act of coming together to play, collaborate on, and share works of your creative passion. Artlarking events feature New York Times acclaimed artist Shantell Martin; Founding Principal of 450 Architects, Richard Parker; KQED Art Journalist Kristin Farr; musician and Goodby Silverstein Producer, Edison; critically acclaimed RAW Dance; Palanza Dance; and technology demos from mobile developer Artivore amongst many others. For articles archive and Artist Interviews go here!